By Nancy Young in Internet. Updated on December 9, 2017 . 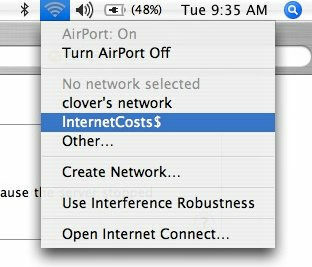 The answer to most of your WiFi problems lies in a cool WiFi router, however, one of the most interesting part is naming the Wifi router. 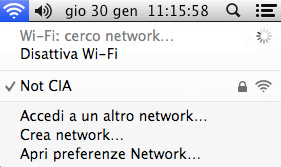 It’s so obvious and boring to call your home wifi router ‘home123’ or homewifi. 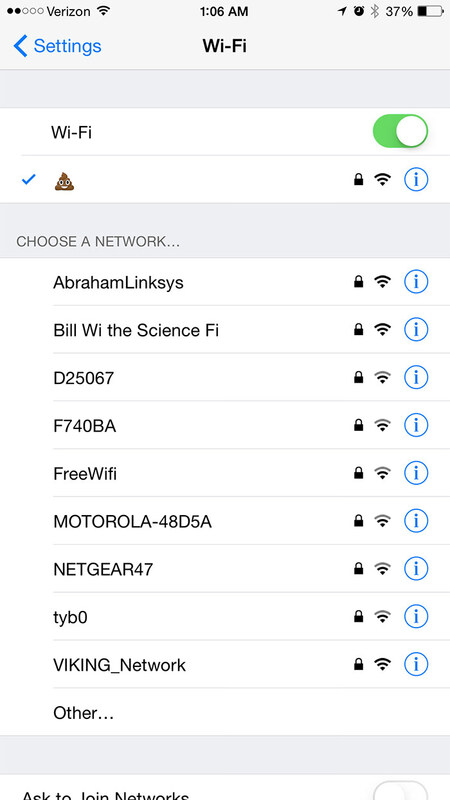 Some creative people out there try to make their wifi router names hilarious and funny. 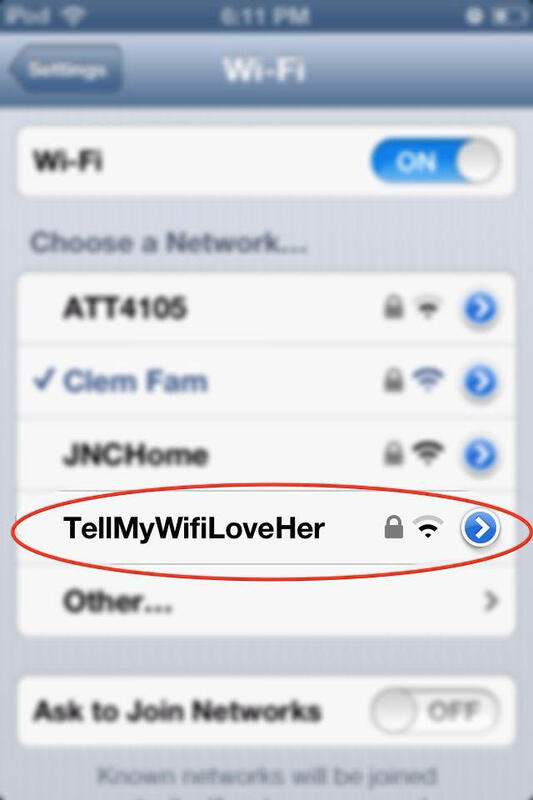 Have you ever thought of WiFi router name as a way to deliver a strong message to your neighbors? 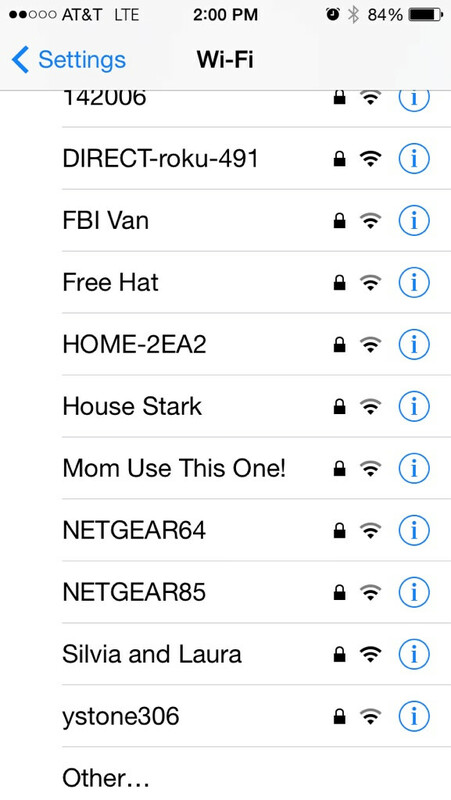 Or you can also use your WiFi router name as a way to show off your creativity and stand out from the crowd of people with home123 WiFi names. 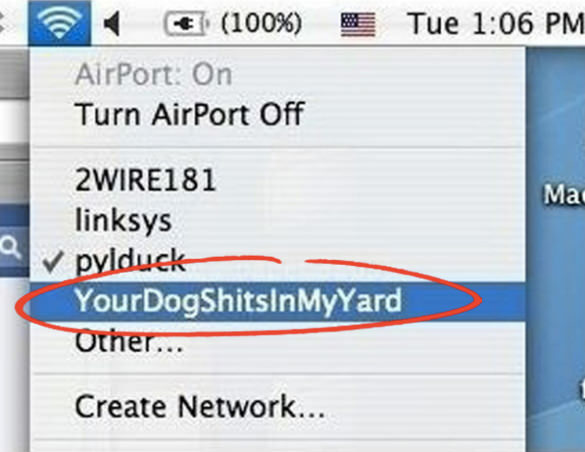 Following are some of the most creative and absolutely hilarious WiFi router names that will give you a good laugh and admire the creativity of the owner. Grammar police is here. 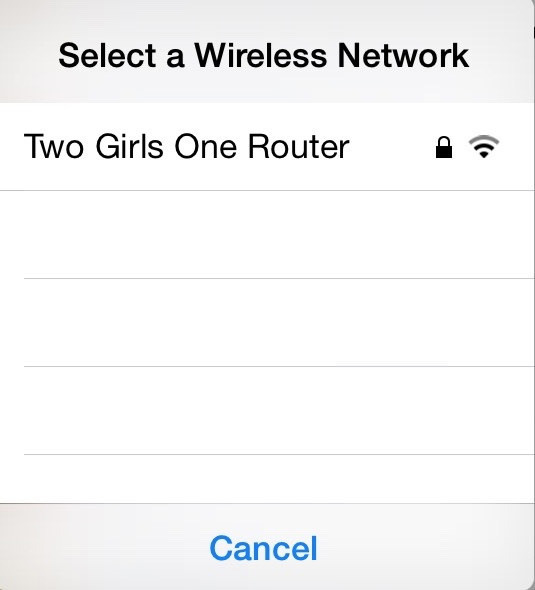 Don’t make mistakes in router name. 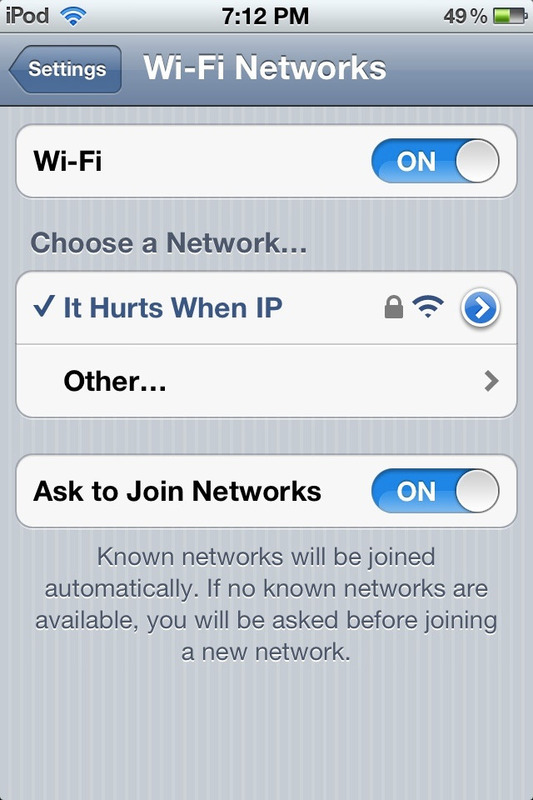 We hope IP here means “Internet Protocol”, but not an honest confession. 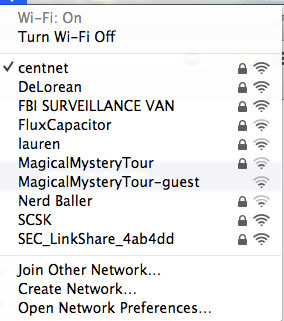 Some weird and creepy people in the house. The Nerds are growing up. The problem of thin walls is discovered. To keep bad guys away for your apartment. Well.. At least they are honest. Or it’s another samrt way to place the ad. 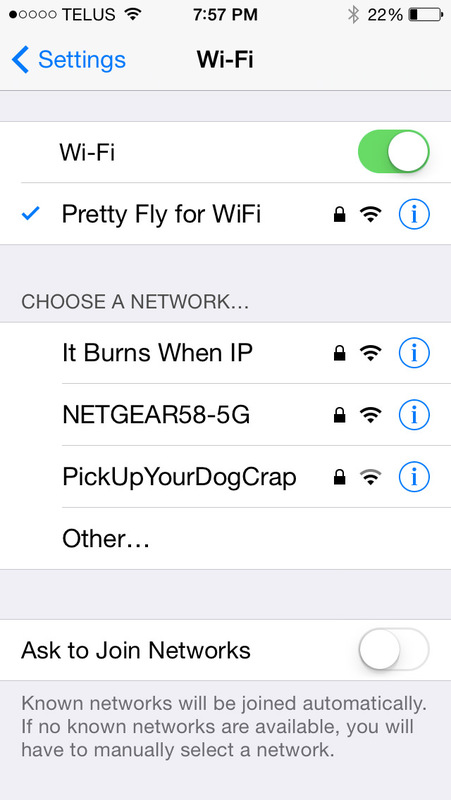 Do you know why people make the most honest confessions in their wifi router names? 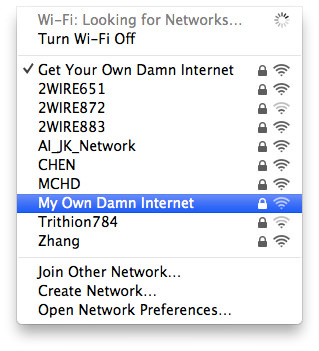 This wifi name is in Chinese restaurant. 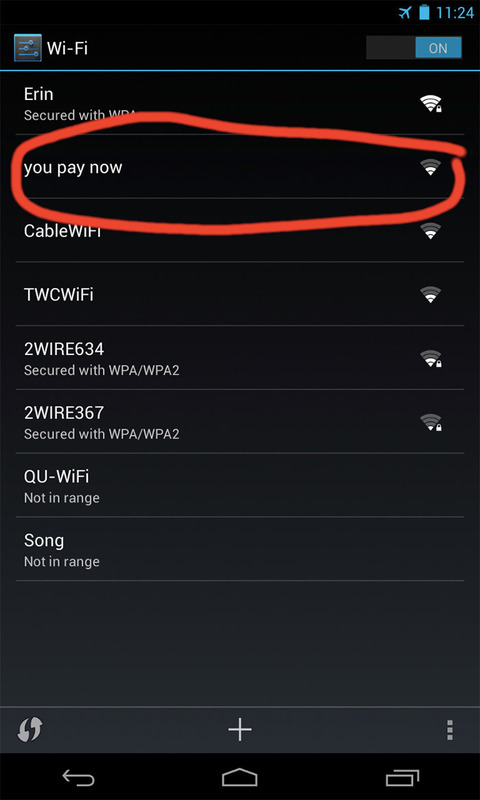 So, should the one pay for food or the WiFi? When you don’t feel like sharing with the others. 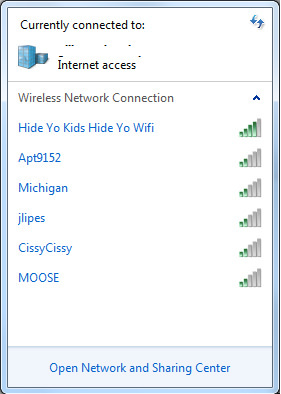 This is the popular WiFi name, especially in some small town. Can be used for internet obsessed people. The download speed should be low. This is how black PR works. When you can’t remain silent any longer. Yes, check it once again. 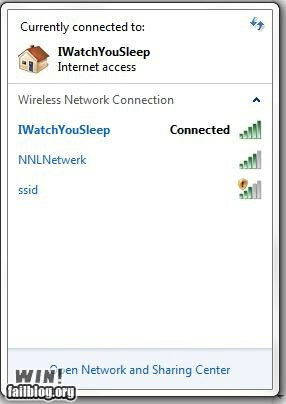 That’s creepy. Maybe it’s “A” from Pretty Little Liars? 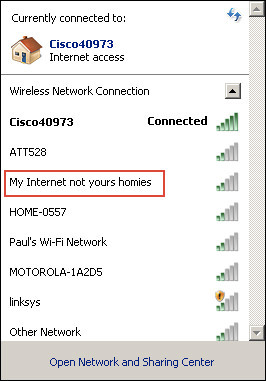 I’m not your homie and I have my own internet. For true fans of “Game of Thrones”. 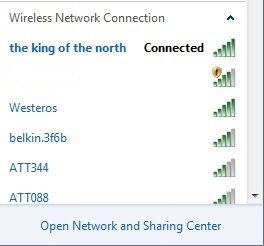 Stark is king of the north! Like you don’t know that already. 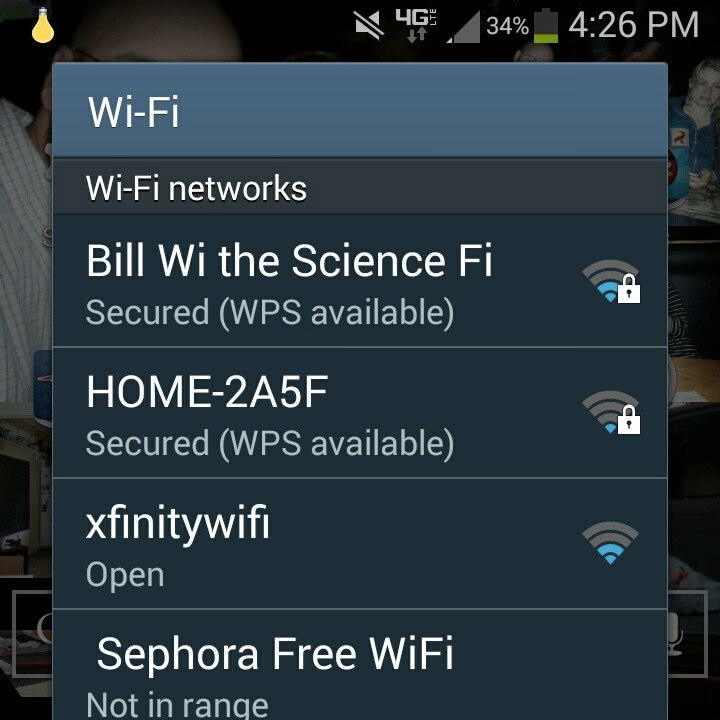 When you name wifi like that your neighbors will move out. And it seems like #1-25 were taken. 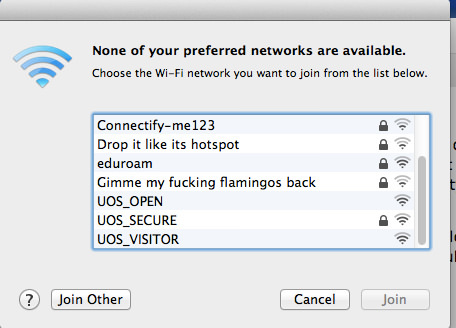 Would you like to join this wifi as a guest? So, obviously you can use Emoji to name your wifi network. 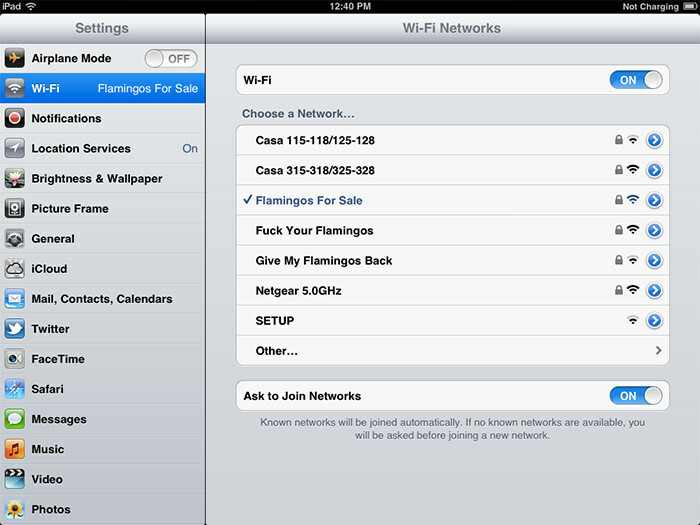 These people like to joke with flamingos. 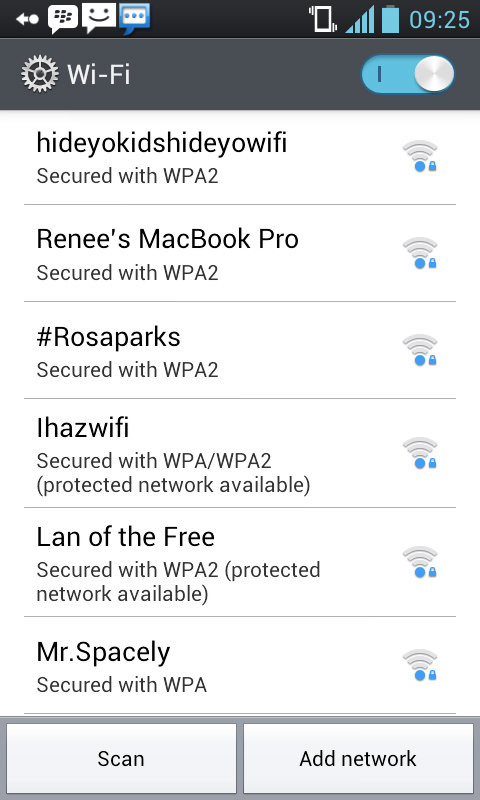 Ironically, LAN of free is locked wifi. 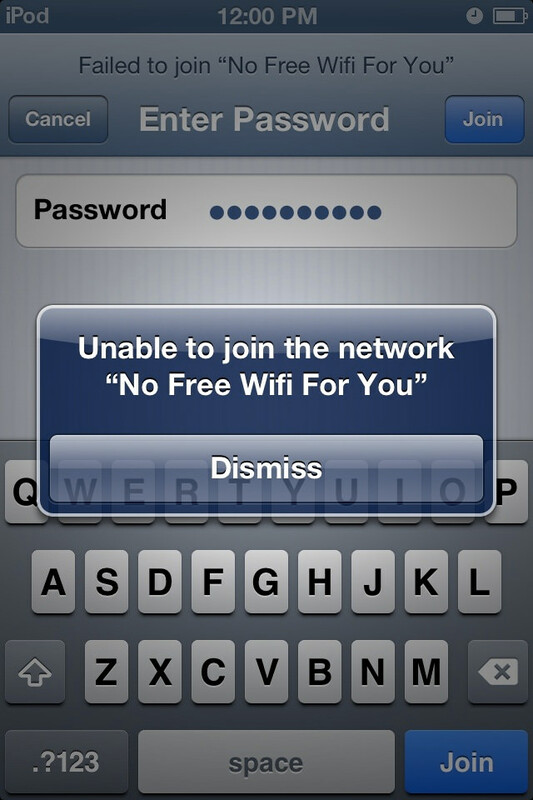 If your parents use Wi-Fi, there’s no better reminder for them than the following one. Not CIA. One more joke about police in da house. 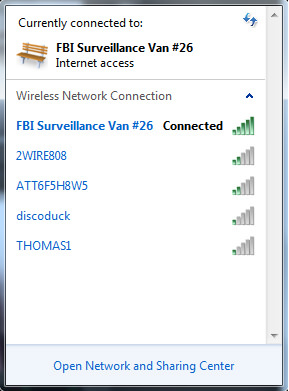 So many creepy people out there. And, apparently, exhibitionists too. 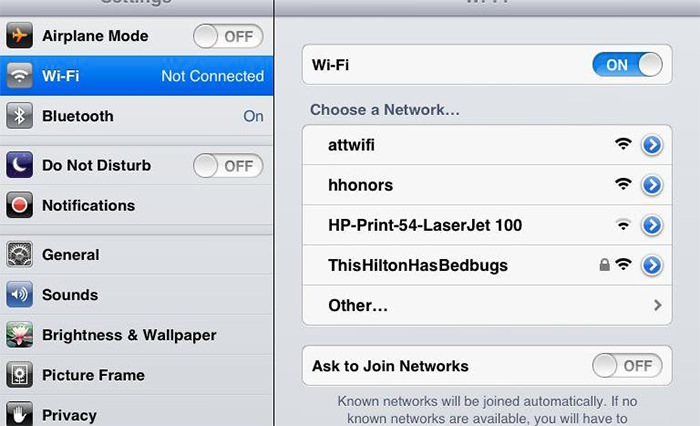 When you like ketchup so much that you can even name wifi router after it. 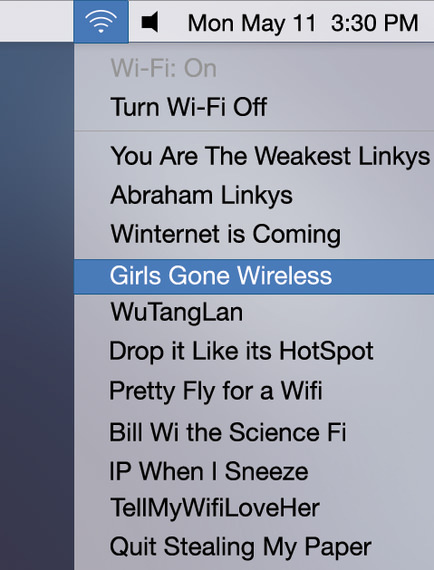 These days girls are going wireless, but not wild.